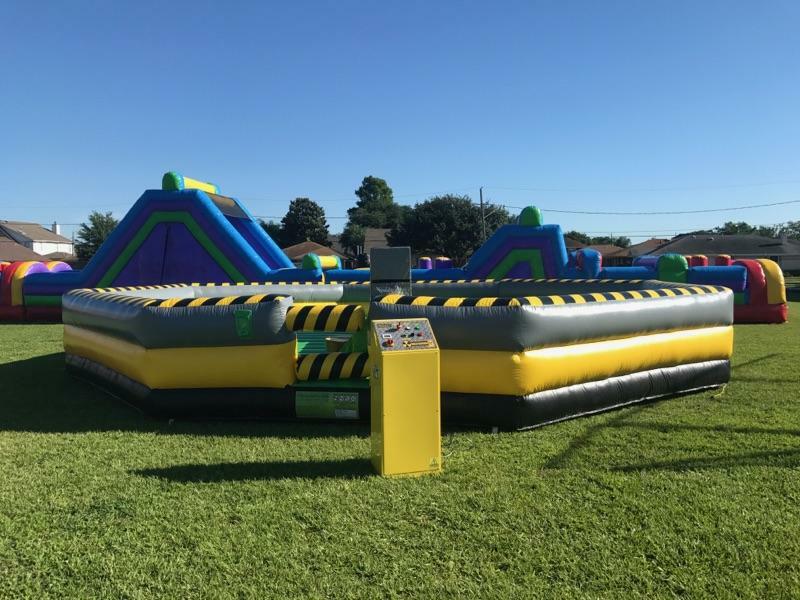 Meltdown Inflatable Ride – The Meltdown Inflatable Ride will turn your party into an adrenaline-fueled competitors battle as your guests jump and bound around an arena straight out of your wildest imagination. Two robust, swiveling arms will spin and try to knock the 8 players down. If you fall off the pedestal, you lose. If you are daft, dive, duck and dodge, you will emerge victorious. The inflatable arena is safe, and comes with an About to Bounce attendant that will operate the game. Imagine the excitement of the crowd as your 8 contestants battle the might of the swinging arms to stay upright and avoid getting knocked off their pedestals. The thrill of the Meltdown Inflatable Ride is second to none, and will entertain every player and every guest at your party. 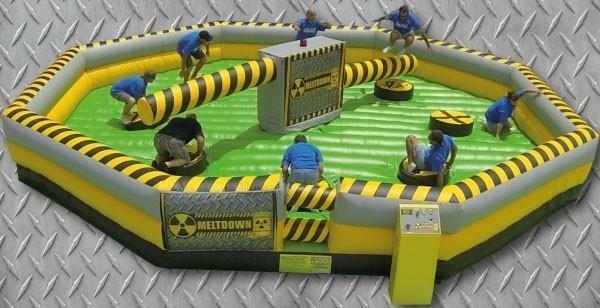 The Meltdown Inflatable Ride is perfect for schools, church events, and parties of all sizes. Players must be 48 inches tall in order to play, and the game can support up to eight competitors..